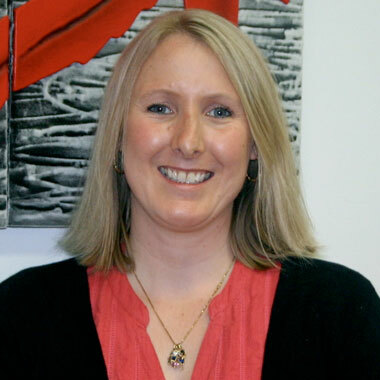 Sharon Anderson is a Senior Psychologist, Supervisor and Clinical Director of DS Psychology Group. Sharon has been a psychologist since April 2002 and has extensive experience in counselling and clinical psychology, working within the Eastern suburbs since February 2000. Sharon was co-founder and developer of clinical services at another local private practice more than 12 years ago, which also involved the development, and provision of staff training, supervision of students and other psychologists and provision of group therapy for post natal depression and interpersonal processing. She has held senior psychologist positions within the inpatient facility Victoria Court of Mitcham Private Psychiatric Unit and was involved in the development and implementation of the inpatient programs. She has supervised senior staff, counselors, provisional psychologists and psychologists in the implementation of a range of therapeutic approaches including Interpersonal Therapy (IPT) and cognitive Behavioural therapy (CBT). In addition she is a Neuropsychotherapist and is able to implement Brain Based Therapy approaches. She has previously been a consultant psychologist in the Mitcham Private Hospital Mother Baby Unit and conducted Group therapy, Post Natal Assessments, treating PND, relationships and anxiety and consulted in the Maternity ward conducting clinical assessments, trauma debriefing, grief therapy and ante-natal counselling. Sharon is dedicated to providing a safe, engaging and collaborative therapeutic relationship to allow for value based effective change in clients lives. Sharon has extensive knowledge and experience in working with a range of client presentations and age groups and ensures that the therapy is individually tailored to suit each client’s unique situation and address client needs in the most effective way. Sharon is passionate about empowering clients in the process of change, through assisting them to develop improved coping strategies, insight into unhelpful interpersonal patterns and more adaptive communication skills, changing unhelpful thinking, increasing emotional understanding and regulation skills, and to develop greater self awareness to allow for more meaningful and fulfilling lives. Sharon is able to work with clients with acute needs through short term therapy or medium-longer term therapy for clients with more complex issues. Sharon has been married since 2002 and has four children – three sons (including twins) and a daughter. Sharon works part time and understands the complexities involved in maintaining balance in life when meeting the demands of parenting, relationships and work. Sharon offers day and after hours appointments and is available for direct consultation or inquiries. Please feel free to contact her directly about any aspect of the services she provides.